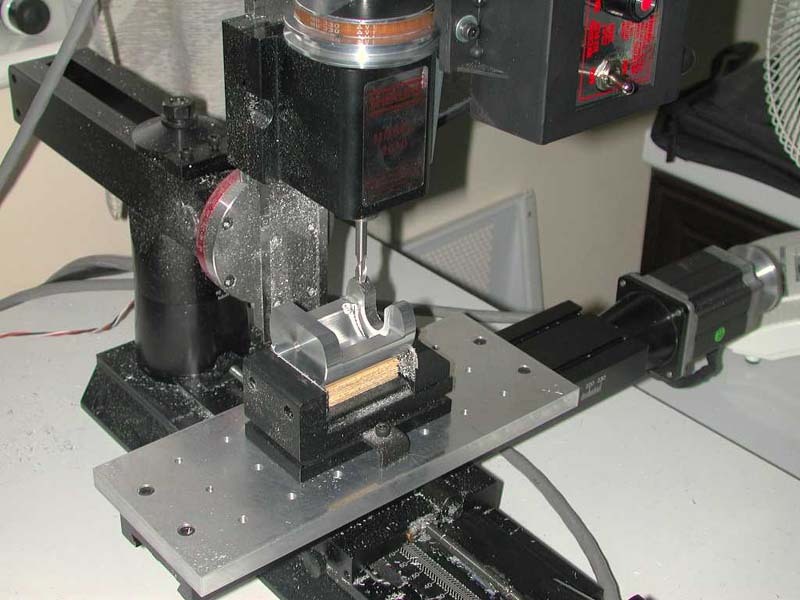 Project: A CNC-machined spindle drawbar remover by Colin Dyckes - Millhill Supplies Ltd. 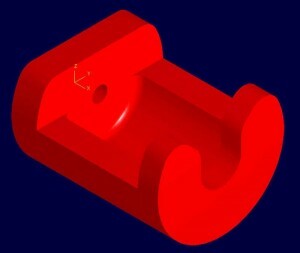 The 3D CAD drawing helps explain how the puller is made. Colin didn’t send any written explanation when he attached these photos to his e-mail, but the photos pretty much speak for themselves. This part offers another take on the best way to remove a collet or chuck from the spindle without hammering on the drawbolt. 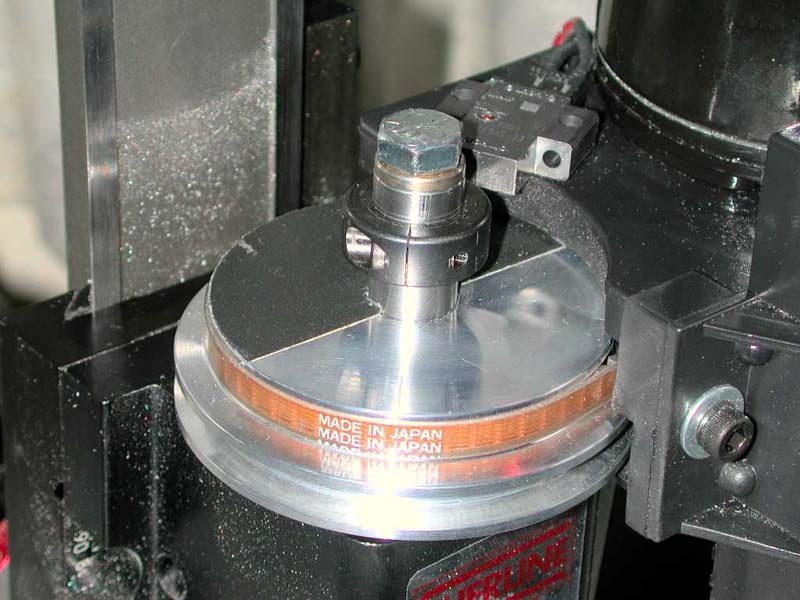 Any method that uses slow, constant pressure to push the arbor out of the #1 Morse taper in the spindle helps keep your machine in alignment and saves the Z-axis from developing excess backlash from the handwheel set screw having to support the force of pounding on the headstock. To use the puller, a split collar is attached to the spindle shaft leaving enough space underneath to insert the base of the puller. 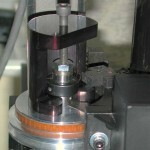 To remove the item from the spindle taper, the drawbolt is first loosened. 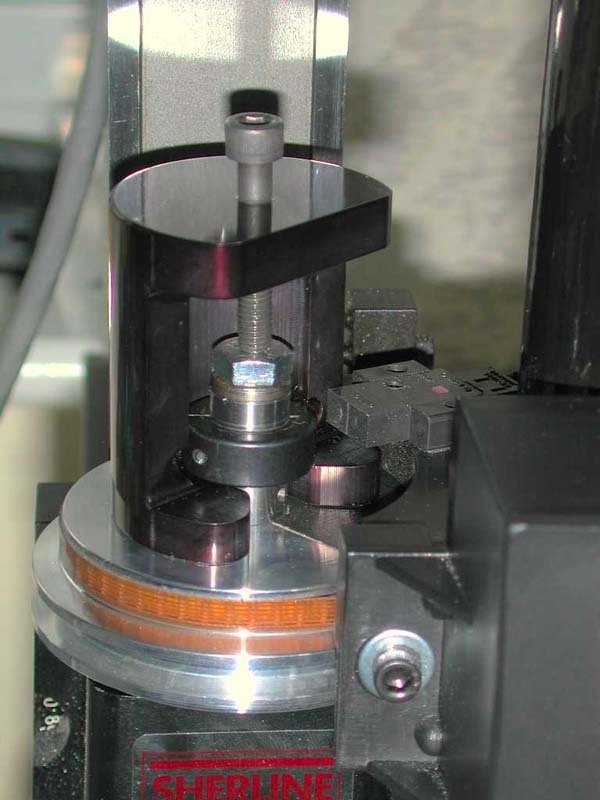 Then the puller is inserted under the collar and the socket head screw tightened against the head of the drawbolt. Tightening the screw pushes down on the bolt, removing the tapered collet or arbor from the spindle. 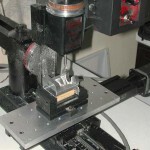 After seeing this write-up, Colin mentioned that after trying his first prototype he ended up filing a groove in the spindle shaft while it was spinning. It doesn’t show in the photos, but the set screw in the split collar goes into this groove. 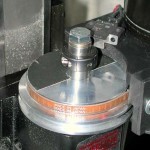 This helps keep the collar from slipping up on the spindle shaft when the screw is tightened against the drawbolt head. He says this is optional. For those who would like 3D and CNC files for the puller, Colin’s drawings are included as a Remover.STL file.